Suite Sizes: 452 to 1,071 sq. ft. 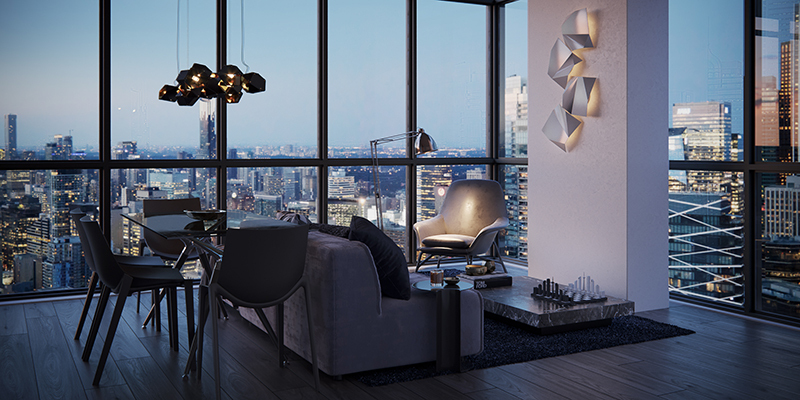 Introducing Empire Maverick Condos – a new condo in one of a downtown Toronto’s hottest areas that promises to be “as stylish as its address”. 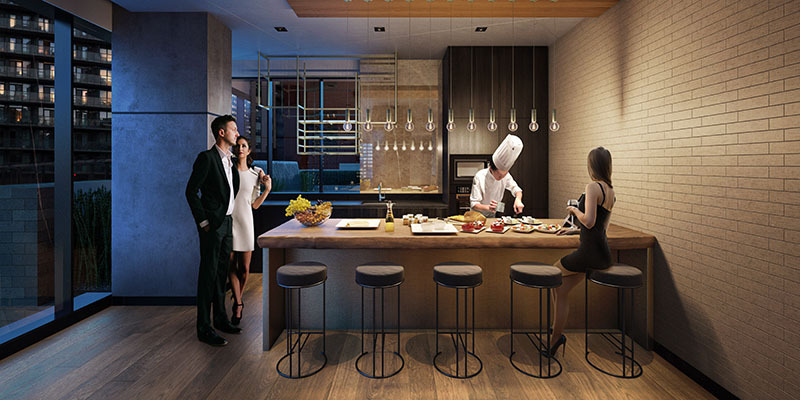 This elegant new community aims to be as chic as its famous surroundings. 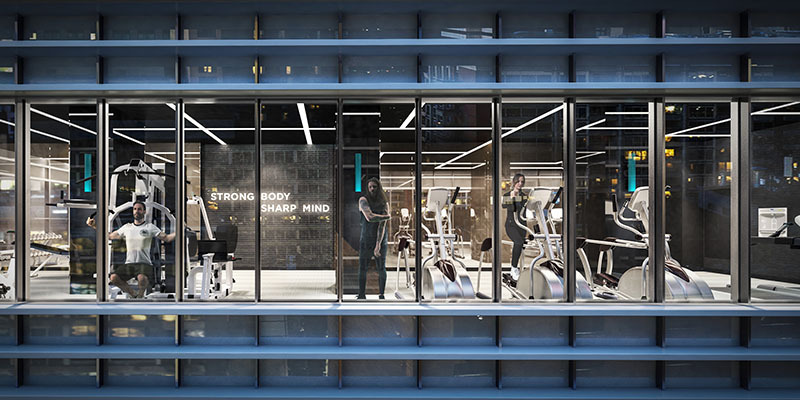 From the elegant design of the building to the unique and luxury amenities, it goes a long way toward achieving that goal. 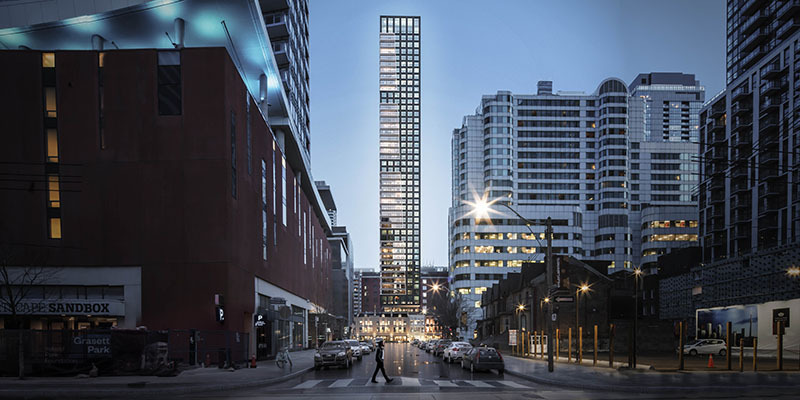 The building will stand 49 storeys tall and face towards the CN Tower on its south side – offering superb skyline views to a number of residents. 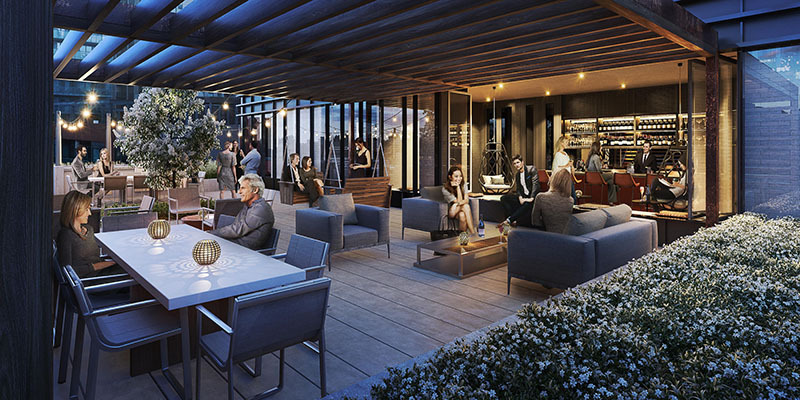 The Maverick Social will offer a new level of amenities and services to residents. 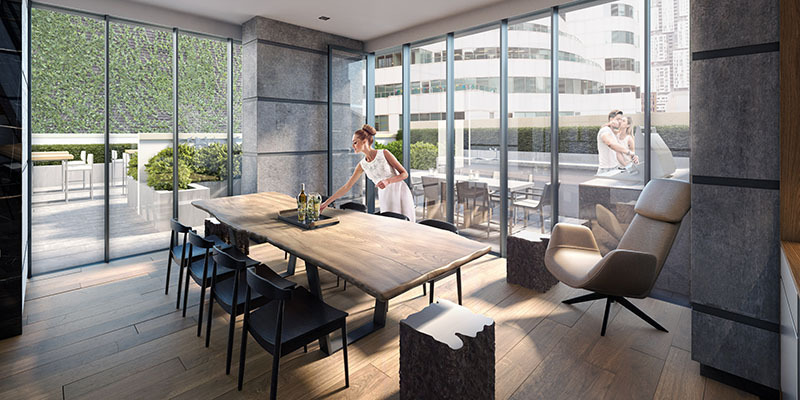 A WiFi-enabled work space, private yoga classes, wine tasting sessions and bespoke concierge services are just some of the executive class features that residents will benefit from. 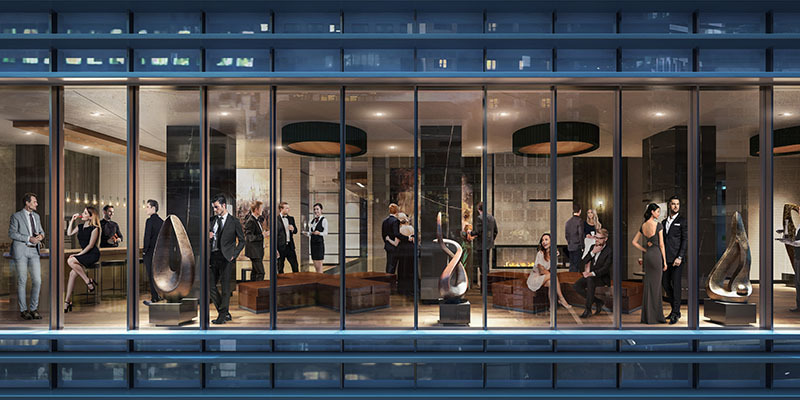 Even more exciting are the exclusive, invite-only Maverick Social cocktail, music, film and food events that will bring together residents and some of Toronto’s influencers. 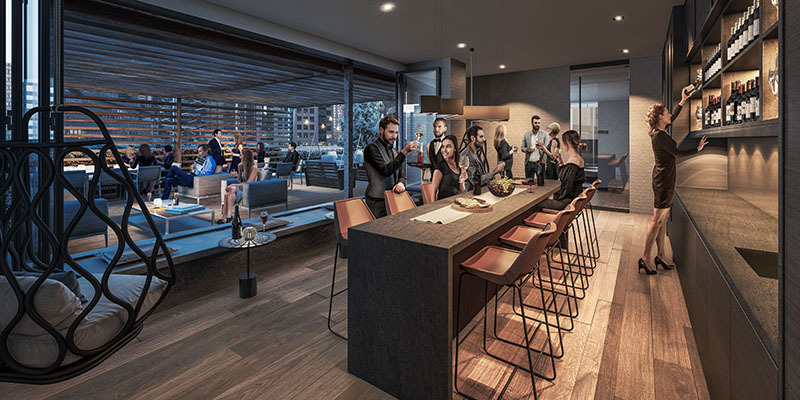 Not content to just be place to call home, Empire Maverick will be an active part of the exciting Entertainment District that will be the envy of non-residents. What more can you say about this location? This is where it happens. Rub shoulders with celebrities when they arrive at the TIFF Bell Lightbox across the street. 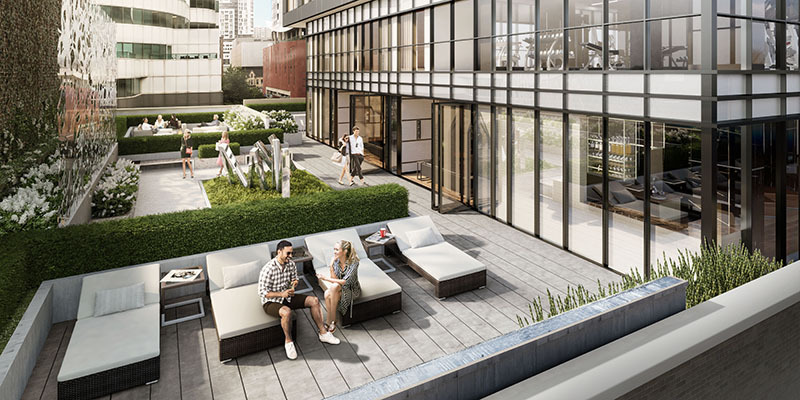 Take a two-minute walk and enjoy world class entertainment at the Princess of Wales Theatre or walk a touch further and go to the Royal Alexandra Theatre or Roy Thomson Hall. Head out in any direction for quality food and drinks at some of the best bars, cafes and restaurants in the city. 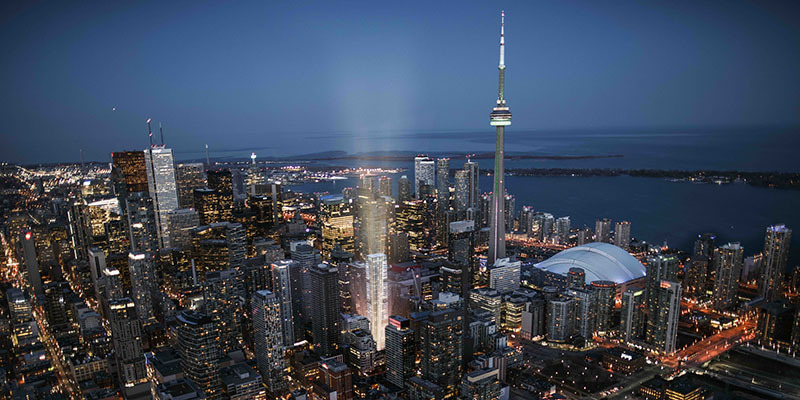 Stroll to the south and see some of Toronto’s biggest attractions or explore the wonderful waterfront. 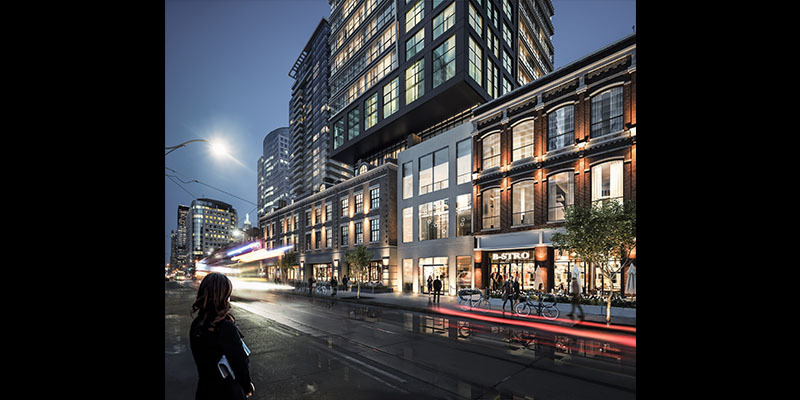 Or just hop on a streetcar and explore the rest of the city at your leisure. It really is a neighbourhood that has it all; a place to go to see or be seen. 100/100. 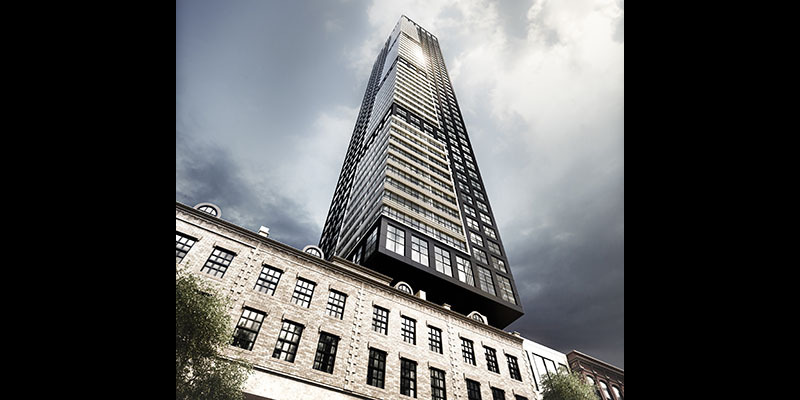 That is both the walk score and the transit score for Empire Maverick Condos. It doesn’t get any better than that and it really doesn’t need any explaining. With streetcars, buses, trains and the subway nearby, you can always get where you’re going, fast. If you’re walking, any amenity you need is reachable within minutes. You name it, it’s there.